Country music borrows from folk, pop, blues, swing, and religious sources, and yet it is distinctly different. It is easily remembered, loves to tell a story, and invites you to dance. The music we focus on is not from the current Nashville scene. This is classic country music from its roots, from Jimmie Rodgers and The Carter Family, through folks like Kitty Wells, Merle Haggard, and Dolly Parton, to the soulful singing of George Jones and Vern Gosdin. During this week, we explore this treasure trove of American music with some of the most dedicated workshop leaders doing country music today. Classic Country Week runs concurrently with Cajun & Creole Week; Arts, Crafts, & Folklore Workshops; Folk Arts for Kids; and Evening Mini-Courses. 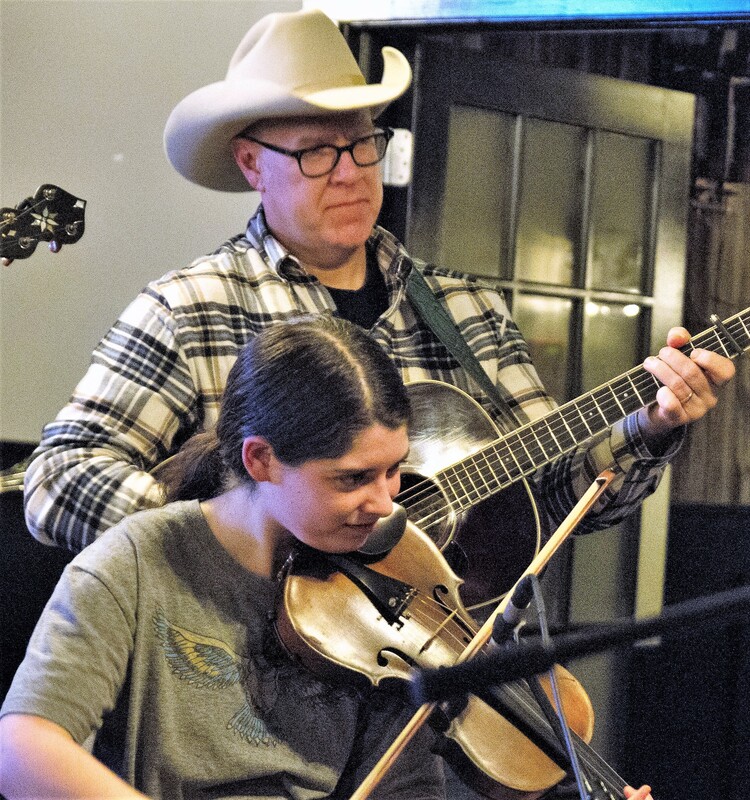 The two weeks have been paired together since Classic Country Week began in 2009, and the pairing creates wonderful opportunities for participants to interact through combined cultural sessions, special evening events, swapping tunes and songs in jam sessions, and sharing in the fun! Participants register for one workshop for each of 3 periods for the week. Each workshop builds upon information presented the previous day. 2019 Workshop Leaders and Classes. Click any name below to open more details. Click again to close. Ginny Hawker is a mainstay at Augusta and has been the coordinator of Classic Country Week since it began in 2009, then known as Early Country Music Week. 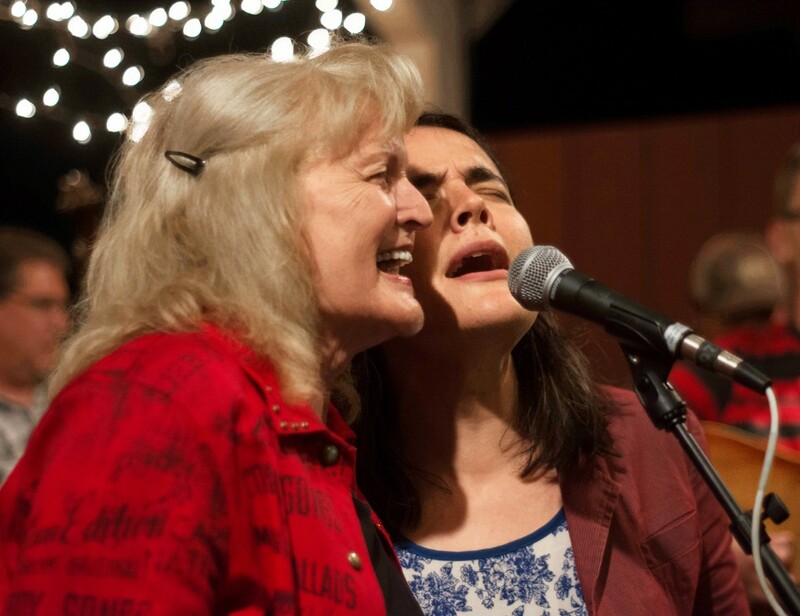 Emmylou Harris said Ginny Hawker is “real as dirt – she sings from the heart” when she chose Ginny’s CD, Letters From My Father as a favorite in Oprah magazine. That’s the only way Ginny knows how to sing – the way she learned to sing from her father, Ben Hawker. She and her dad taught at Augusta Vocal Week for 10 years and traveled to the Smithsonian, Vancouver, and Chicago to perform at festivals and teach workshops. Whenever Ginny sings, she makes the song sound like a classic you had forgotten about, while at the same time, making it sound so effortless that anyone could do the same. That’s what makes her a good teacher. Ginny will touch your heart and draw you into her world with her singing. She has taught at music camps for 25 years, as well as singing workshops in her home for the past 9 years. Ginny has recorded with Kay Justice and with her husband, Tracy Schwarz. She has two solo CD’s on the Rounder Label. Ginny and Tracy live in Tanner, WV. Brennen Leigh and Noel McKay are a dynamic country music duo based out of Nashville who build on their individual strengths to create something both fresh and traditional. Their original songs often reflect contemporary themes wed to classic country melodies, accented by stellar musicianship and impeccable vocal harmonies. Originally from Austin, Texas, the pair have relocated to Nashville to pursue their careers in earnest. Brennen has seen her songs covered by the likes of Lee Ann Womack and Sunny Sweeney; she recently cowrote a Christmas song with Rodney Crowell. She also sang duets with Charlie Louvin and is a masterful lead and harmony singer. 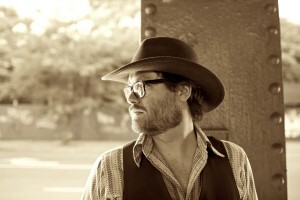 Noel, formerly of the regionally popular McKay Brothers band, is equally strong as a writer, singer and guitar slinger. His long association with Texas songwriting legend Guy Clark included the cowritten song “El Coyote,” which appeared on Clark’s 2014 Grammy-winning release, My Favorite Picture of You. Together, Brennen Leigh and Noel McKay are an exciting new voice in country music. Ginny and Courtney have been singing country music all their lives. They have sung duets at Augusta since 2009 and taught together since Classic Country Week started. They understand how the blend of two voices in a good song can touch your heart and lift your spirit. In this workshop, participants will be paired to sing together. If you have a singing partner at home, come on, we’ll help you sound better. If you’re looking for the “right voice” to sing with, that person might be sitting right beside you in class. The workshop will focus on country harmony; participants should already be familiar with basic harmony singing. A mini-course in Basic Harmony Singing is being offered for those who aren’t sure of themselves in harmony singing. Participants should bring a classic country duet to work on for the week and an audio recorder that they know how to operate. If you already play guitar pretty well, bring it with you. Lyrics to several memorable duets from folks like George Jones with Melba Montgomery and Conway Twitty with Loretta Lynn will be provided. Come on, we’d love to sing with you and hear you take off on a solid duet with a new Augusta friend. Courtney Granger is an old soul at only 36. He’s Cajun through and through, with all the depth of emotion and experience that one life can hold so young. He is a master fiddler and singer of his native Cajun music, and he can sing a country song that will burn your heart and have you crying for more. Students have written: “He broke my heart every day and I loved it.” “His class worked . It worked because he truly listened to his students and was very generous.” “Courtney has wonderful insight into the music – and can articulate those thoughts.” Whenever Courtney sings at a Country or Cajun dance, dancers stop and get lost in his deep commitment to the music, so deep that he sweeps the listener right up into it with him. You feel like, “He’s singing my life”. Recently, Courtney gathered amazing backup and harmony musicians and recorded an outstanding all-Country album on Valcour Record label. It’s real Country music – what we’ve come to expect from Courtney Granger. Long before steel guitars and telecasters, the fiddle was the heart of country music. Our workshop will focus on learning the fiddle’s role in a country band, and improvising solos and fills. We will work on picking up melodies as the basis for solos, as well as playing tasteful fills and basic intros/outros. We will discuss how to play well with others (both the pickers and the singer) in a band setting, and how to convey emotion and tone through your playing. Participants should come to class with their fiddle tuned, bow rosined, an audio recording device, and a favorite classic country recording in mind. Fiddlers & violinists of all levels & styles are welcome join in and learn the art of country fiddle! Although she started out her musical life studying classical violin, Beth Chrisman fell in love with roots music early on. 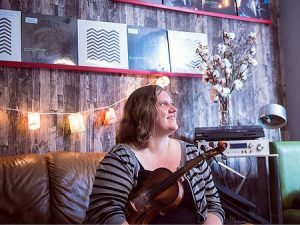 She began playing fiddle music and learning to improvise and sing through the bluegrass and old-time scene in her home state of Alaska. After moving to Austin, Texas, in 2006, Chrisman quickly absorbed Western swing and honky-tonk styles into her musical identity. Both at home and on the road, she joined a variety artists on stage and in the studio — honky-tonking with Bobby Bare and JP Harris, swinging with Big Sandy & the Fly Rite Boys, and jamming with the Heartless Bastards and Shinyribs. 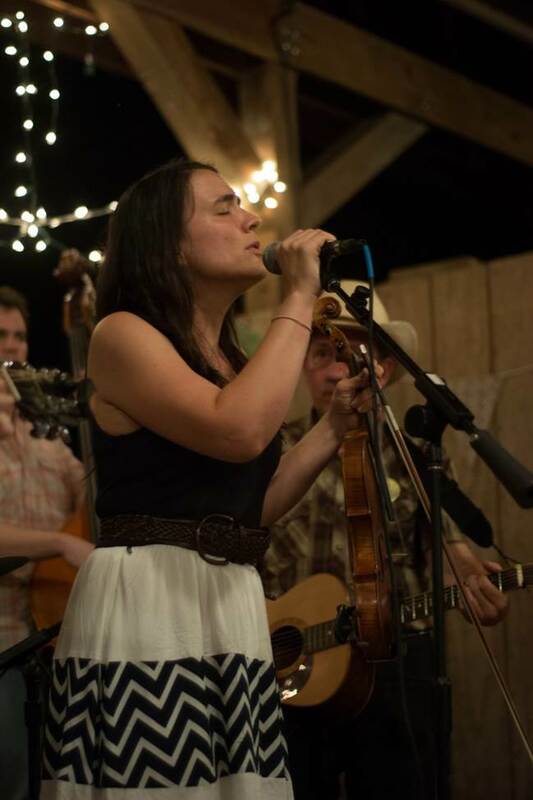 Best known for her fiddle and harmony work with James Hand, Brennen Leigh, and the Carper Family, Chrisman is now fronting her own honky-tonk band — Missy Beth & the Morning Afters, and contributing clawhammer banjo and fiddle to the old-time country trio, the Frauleins. Country rhythm playing doesn’t have to be flashy. It just has to be rock steady, simple, and have a beautiful tone. We will cover these skills and more in this workshop for players who know most of the basic chords and want to refine their country sound. We will learn the secrets of being a good back-up guitar player. Our main focus will be on accompanying a voice, whether it’s your own or somebody else’s. We will cover the common ground of honky-tonk and soulful heartbreaking country songs, and even venture some into bluegrass and swing styles. But our emphasis will be on how to get a good feel for a country song. 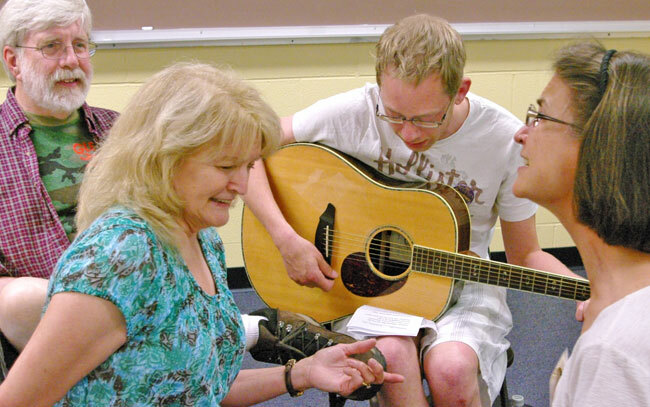 Participants should bring their guitar already in tune to class, with a capo, an assortment of picks, and a recording of a their favorite country song. Country Gospel music is emotional and intense and you can hear that influence in the singing of the great country singers like Hank Williams, George Jones, Kitty Wells and others who sing from their heart. Today Gospel songs are an important part of American roots music which unites us in spite of our different backgrounds and paths. In this class we’ll be doing group singing and searching for that perfect Country Gospel harmony sound. In addition to being fun, there is just something energizing about singing Gospel songs together in a group. You don’t have to be able to sing harmony to join the class, but if you are a harmony singer that’s great. All singers a welcome. We’ll be learning songs like “Will There Be Any Stars in My Crown”, “Prayer Bells of Heaven” (Jimmy Martin) and “I Have Found the Way” (Louvin Brothers). Students will receive lyric sheets and should bring an audio recorder and an open heart. Karen Collins is a coal miner’s daughter who grew up listening to the radio in the mountains of southwest Virginia. 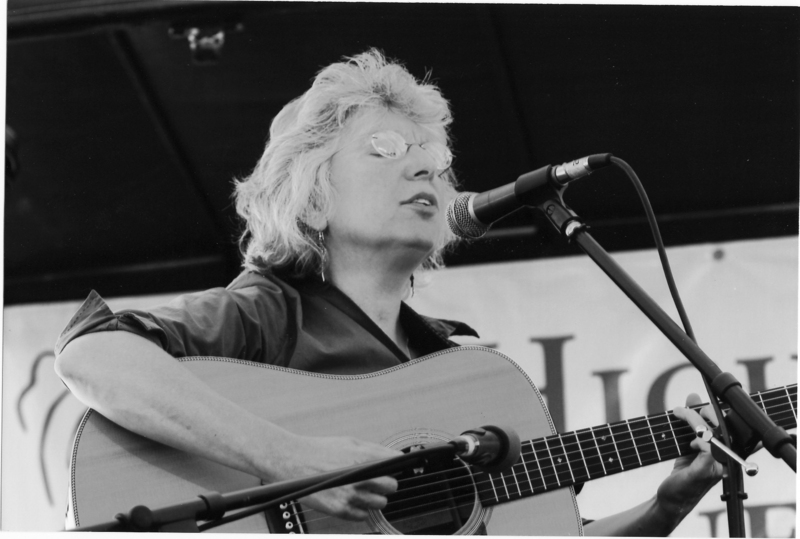 The echoes of those early country sounds resonate in her singing and her song writing. Her songs are written and delivered in that classic country style on topics ranging from love and heartbreak to being stuck in traffic. Karen is lead singer in her honky-tonk country band, The Backroads Band, and her Cajun/zydeco band, Squeeze Bayou. She also sings in the acoustic country quartet, The Blue Moon Cowgirls, plays solo shows, and teaches harmony singing workshops. Karen has won multiple WAMMIE (Washington Area Music Association) awards for Best Country Vocalist, Best Country Band, and Best Country Recording. Most of her performances are in the DC/Baltimore area, but she often performs at Not-SXSW showcases in Austin, TX, and at the Hank Williams Museum in Montgomery, AL. In this class we’ll be learning songs of Rose Maddox & the Maddox Brothers. Rose, lead singer in the Maddox band was a dynamo with a powerful voice and a feisty personality. She was one of the first women to sing honky tonk country back in the 1940s and has been an influence on female country singers ever since. The band often played raucous up tempo music, sometimes called “hillbilly boogie”. They wore,colorful singing-cowboy style outfits and were called ”America’s Most Colorful Hillbilly Band’. With a slap bass player and Rose’s powerful vocals the band is considered one of the pioneer bands of Rockabilly. Rose performed professionally for almost 60 years. Her wide repertoire included country, Bluegrass, pre-rockabilly, as well as ballads and Gospel songs. In addition to her songs with the Maddox band, we’ll learn songs from her solo country music career and her later years as a Bluegrass singer. Rose’s long list of hit recordings included “Philadelphia Lawyer”, “Kissing My Pillow”. “Hey Little Dreamboat”, “Lonely Teardrops”, “Move it on Over”, and “Loose Talk” (duet with Buck Owens) and many, many others. From the dawn of electrified guitars, country musicians have made use of their unparalleled sound and capabilities. In this workshop, we will explore the rich history of electric guitars in country music, learning about the key players and how they influenced the genre (and guitarists of every genre! ), as well as learning phrases and techniques that typified their personal styles. We’ll start at the beginning, looking at some of the earliest electric guitar players, and will work our way through such luminaries as Jimmy Bryant, Grady Martin, Roy Nichols, James Burton, and more. Don’t worry, we’ll talk about Bill Kirchen too! Thomas Bryan Eaton is the most fun, patient, organized yet relaxed teacher you will ever come across. He currently lives in the Nashville area where he is in demand as a studio musician. He writes and performs his own songs in solo performances and tours with Miss Tess and The Talkbacks. You may have heard the old saying that someone is “eat up with music”? Well, that is Thomas. He can stay up all night playing steel guitar, slide guitar, and singing whatever the jam or performance calls for. He knows all the old classic country songs and sings them with feeling that belies his young years. A young student wrote last year, “This man is a phenomenal musician, teacher, and human. He made the hardest instrument there seem not so daunting.” Believe it. This workshop will deal with the nuts and bolts of playing an instrumental lead in a country song. Some call them “solos,” but the whole band is still playing! Participants will learn how to break apart the vocal melody into basic building blocks and then interpret them in a tasteful and interesting manner. This is an intermediate workshop, so participants should be able to at least pick out a melody on their instrument. Some knowledge of scales and basic chords will also be helpful. This workshop is open to various instruments (acoustic guitar, fiddle, piano, steel guitar, Telecaster). In fact, some diversity would be welcome as different instruments have different ways to interpret melodies. Please contact Thomas Bryan Eaton with any questions at thomas.bryan.eaton@gmail.com. Lynn “Leon” Kasdorf lives, eats, and breathes country music. Good country music. The old kind of country music. 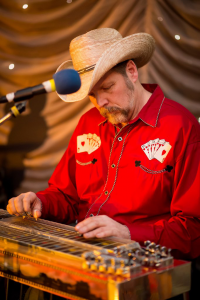 Through years of attentive listening to the Eddie Stubbs radio show, Lynn knows just about every honky-tonk song there is, and if there’s a pedal steel part, he’s learned it. Lynn is committed to recreating the perfection that is old country music, be it crooked, quirky, or timeless. His mission is to help others appreciate the elements that make early country music so great, and to perform this music with soul and conviction on any instrument. Lynn is one of the busiest pedal steel players in the Washington DC/Baltimore region. He started off in high school fingerpicking guitar and banjo, and he got his first pedal steel in 1974 after falling in love with the sound. He currently plays with Arty Hill, Human Country Jukebox, the Hula Monsters, the Oklahoma Twisters, Karen Collins’ bands Backroads Band and Squeeze Bayou, and several others. This will be a fun and very useful workshop for singers and players of any instrument, especially if you play with other people. There will be class participation, and a number of songs will be learned/played. Don’t let some of terms scare you off- this will be painless, and you don’t have to read music. What is a turn around? Walking bass or 2 beat bass? How do key changes (modulations) work? Creating new songs in the style of classic country music is a high calling and a nearly lost art. This workshop will deconstruct a few unforgettable songs from the past to see what makes them still tick today. Then participants will craft a new song or two of their own. The participants will discuss song structure, tempo and “groove”, writing memorable melodies, finding solid hooks, balancing tradition and innovation, and above all, keeping it real. Copyrighting, publishing, collaboration, and song pitching will also be briefly discussed. Time will be made each day for song critiques and feedback – one song per participant (optional). Participants should bring a pen and pad of paper, a mobile recording device, and a guitar (optional). John Lilly is an award-winning songwriter and performer from Charleston, West Virginia. 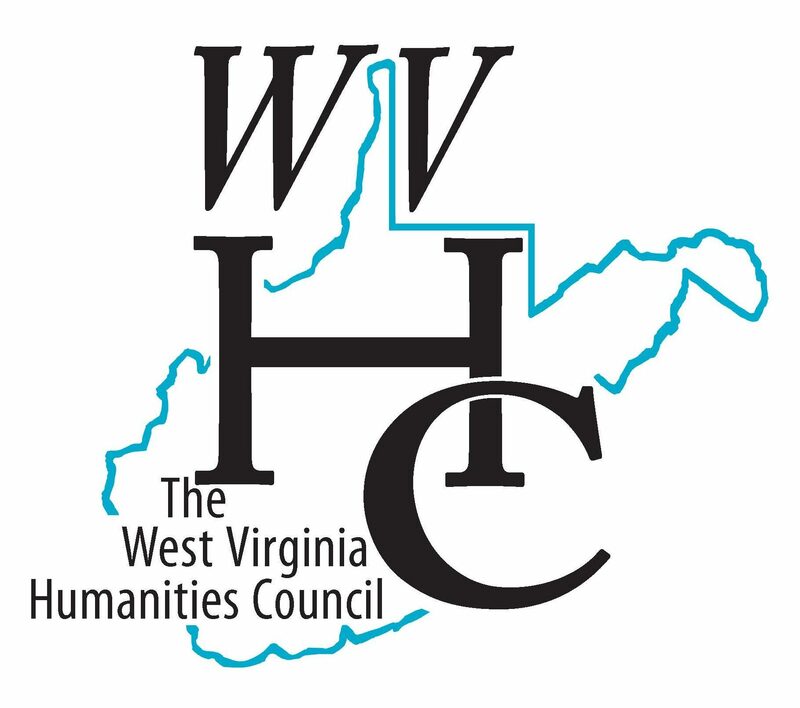 Formerly a tour guide at the Country Music Hall of Fame and Museum, a member of the Green Grass Cloggers dance team, and a member of the band Ralph Blizard and the New Southern Ramblers, John served as editor of West Virginia’s GOLDENSEAL magazine for 18 years. He recently retired in order to pursue music fulltime. John plays across the country with the acclaimed Blue Yonder band and also performs solo. He recently completed an ambitious recording of original state songs. In this class, we will play and talk some as a big group (addressing rhythm and soloing, singing style, harmony choices, arrangement ideas, band dynamics), but we will spend the bulk of our class time working in small bands of 3-5 people with guidance from Emily and Tess. Bands will be assigned based on experience level and instrument balance so that everyone, from the secretive woodshedder to the longtime solo performer, will spend the week making honest-to-goodness country music with fellow singers and instrumentalists. Open to all instruments (including voice). The first song Emily Miller remembers learning is the Louvin Brothers’ hit, “When I Stop Dreaming,” around age 8, which she sang as a duet with her older brother Ethan. 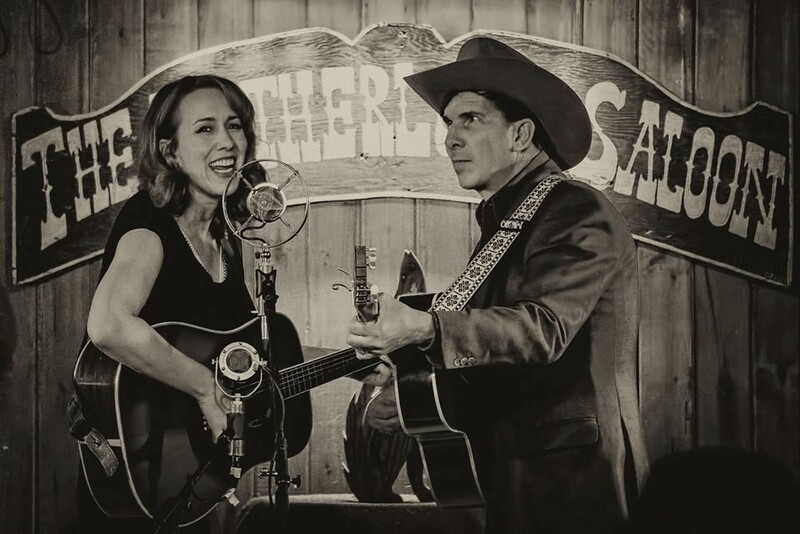 After performing with many different groups in her teenage years (most notably Northern Harmony, with whom she toured all over the US and Europe), Emily formed the honky-tonk country band The Sweetback Sisters in 2006 with fellow singer Zara Bode. 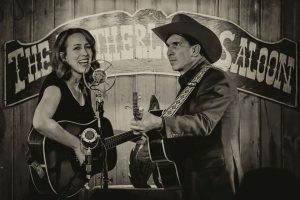 They have recorded three full-length records and have performed their renegade retro style of country music in barrooms, festival stages, and concert halls around the world, including appearances on A Prairie Home Companion and Mountain Stage. 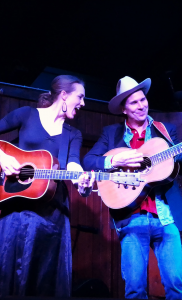 Emily and her husband Jesse Milnes also perform as a duo, singing country and old-time music in close harmony. 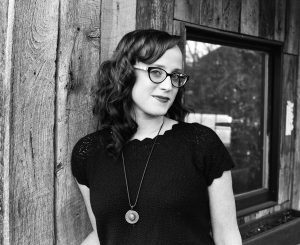 Emily is musical director for the Davis & Elkins College Appalachian Ensemble string band in Elkins, WV, which recruits talented old-time instrumentalists and percussive dancers from around the country for a high-level student performance ensemble. She and Jesse make their home in Valley Bend, WV. Miss Tess has been leading her own band, performing, and touring professionally for the last decade. She currently lives in Nashville, Tennessee, making a living as a singer, songwriter, guitarist, and bassist. Tess specializes in writing and playing American roots music including styles of country, blues, and swing. This workshop will take on the full scope of how to be the lead singer in a country band, both in terms of mastering vocal style and leading your band. Although no one will be expected to be the country “stars” at the outset, participants should feel comfortable singing on their own. We will learn some great classic country songs together (think Kitty Wells, Ray Price, Lefty Frizzell, Merle Haggard, Loretta Lynn, and Hank Williams), but participants are also encouraged to bring old songs that they love for fine tuning. We will make time for singing, discussing performance and delivery issues that participants may encounter and providing master-class style feedback to everyone who wants that. Participants who play instruments can bring them along, but the main focus will be on lead singing style and technique. Lyrics will be furnished. Participants should bring an audio recording device. In this workshop we will look at the acoustic bass and its role in country music standards. We fill focus on hearing chord changes, keeping good time, and playing simple lines to support the singer and other instruments. We will touch upon techniques to make your bass easier to play, and to support getting the best tones on the instrument.Class description coming soon! If you can carry a tune and would like to learn Southern harmony singing, this mini-course is for you. No knowledge of music theory is needed. We’ll discuss basic harmony theory and guide you in learning, by ear, to sing both two-part and three-part harmony. We’ll find the close harmonies of great early country, classic bluegrass, and gospel songs, creating the sound that touches our hearts and souls. Debbi Kauffmann was lucky to be born into a musical family outside of Boston, Massachusetts. She began singing and playing guitar as a teen and was introduced to both Irish and country music in her early adult years. 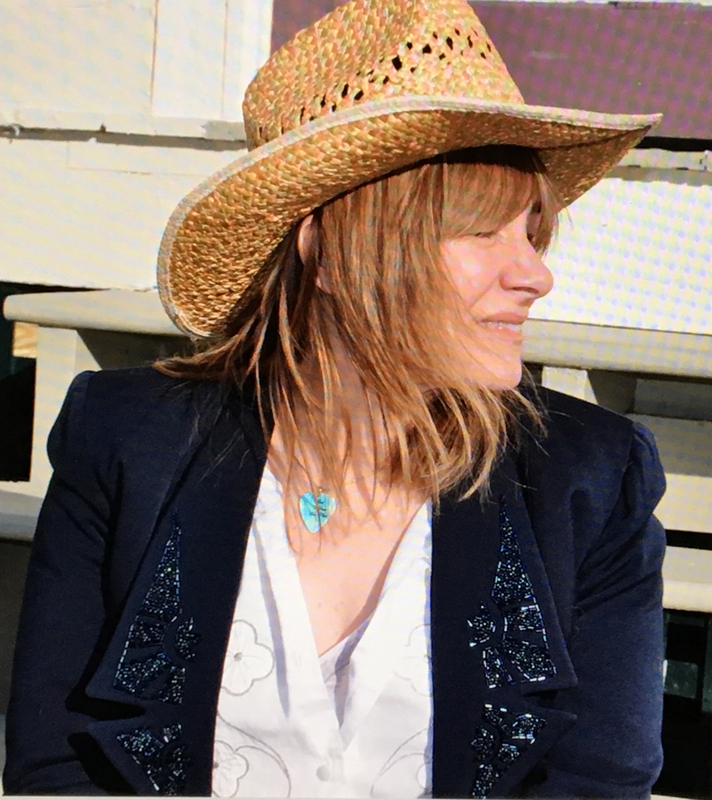 After moving to the Baltimore area, Debbi had the opportunity to sing and play with great bluegrass musicians at the Sandpiper Inn and Arcadia Bluegrass festival. Later, she began singing with old-time musicians in York County, Pennsylvania, and at many festivals in West Virginia, Virginia, and North Carolina. 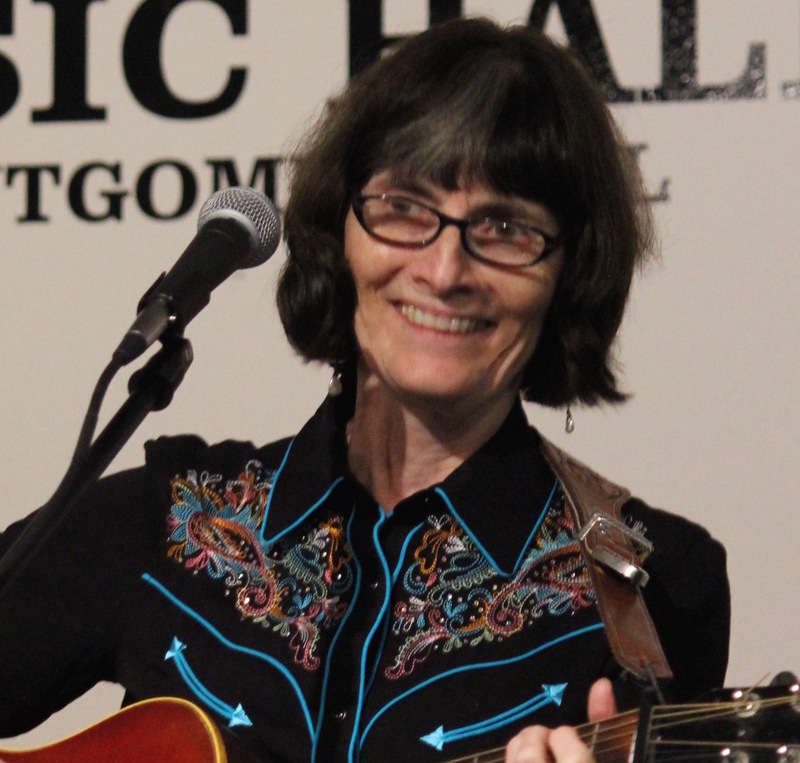 Debbi has attended Irish, Old-Time, Vocal, and Classic Country weeks at Augusta. She has studied harmony singing with Ginny Hawker and Tracy Schwarz, and has attended several other harmony workshops. 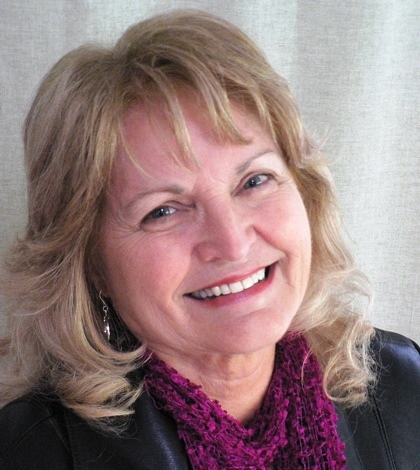 Debbi has also greatly benefited from individual vocal instruction with Dede Wyland. In 2001 she began singing professionally with mandolinist Henry Koretzky in the duo Rootbound, recording in 2004. Debbi has also had the honor of joining Ginny Hawker and Tracy Schwarz for several performances. 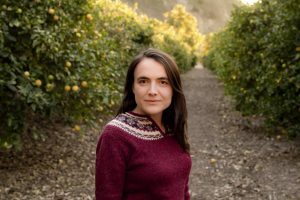 She has been a member of two all-female string bands and two bluegrass bands, singing lead and harmony, playing guitar and bass. Southern harmony is what drew Debbi to this music and has always been at the heart of her love for the music. “One of the best country singers going right now is not from Texas or from Tennessee — he’s from Baltimore and his name is Arty Hill. He’s also is a first-class songwriter…” – San Antonio Express. Arty Hill has been a bandleader since he was 13 years old, and currently leads The Long Gone Daddys (bandmember Lynn Kasdorf is teaching pedal steel guitar at Augusta this year). 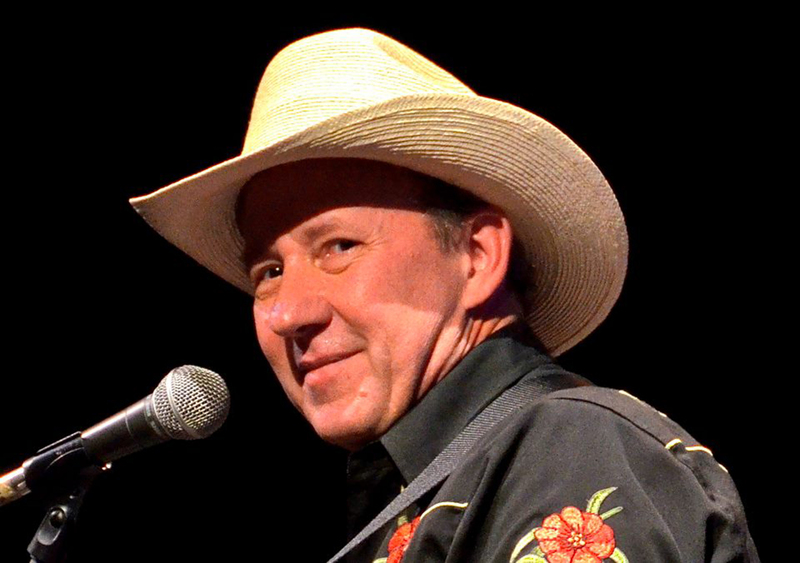 Arty has recorded 7 CDs in the last 15 years, his songs have been in television shows and movies, and he is a co-founder and instructor at the Hank Williams Songwriting Workshop at the Hank Williams Museum in Montgomery, AL, now in its fifth year. Arty has jammed frequently at Augusta and he knows how to help a jam session be fun: to help everyone involved bring something good to the table, get a chance to participate, play and sing their best, and make a real pretty sound. Arty knows hundreds of classic country songs and his enthusiasm for the music will make you glad you came to Augusta! Long before the advent of CMT and cable television, early broadcast television beamed classic Country music into millions of American living rooms. From the late 1940s all the way into the early 1970s, television shows such as The Ozark Jubilee, The Jimmy Dean Show, The Buck Owens Ranch Show and The Porter Wagoner Show, among others, made household names of radio stars like Roy Acuff, The Carter Family, Hank Williams, Loretta Lynn, George Jones, Dolly Parton, Pretty Miss Norma Jean and many more. In this early evening class, students will pull up a chair and watch iconic and obscure video clips from a four-decade span of Country music greatness. We will share memories of watching country music on the small screen and consider how TV portrayed Country music, then and now. In addition to watching, we will do some singing and playing each night, too, paying special attention to songs written by three of Country music’s best: Harlan Howard, Cindy Walker and Floyd Jenkins (the pen name of songwriter and music publisher Fred Rose). Students will learn to play and sing a song by each of these songwriters (one song a night) and will be encouraged to share one of them at the student showcase at the end of the week.